Dimensions : 51 h x 49 w x 41 d cm. Seat height : 27 cm. 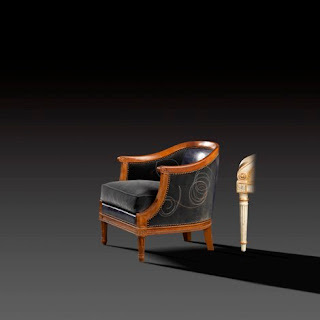 Remarkable through its dimensions and proportions, this little Louis XVI footstool , with the looks of a miniature corner fireplace easy-chair, was used for multiple purposes complementary to other chairs making part of a series with the same decoration and decor. 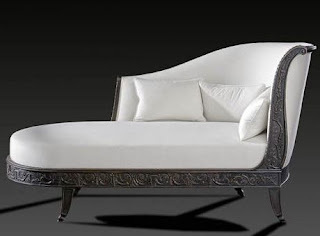 Often lower than its likes, this type of chair, was placed in front of a chair or armchair as a footstool but was also often combined with a rest-bed or sofa. 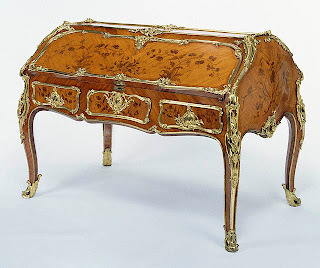 Simple, in terms of decoration as well as moulding, this Antique French footstool belongs to the canon of the Louis XVI style ; which turns it into an ornament that is not overcrowding and can be used for multiple purposes.